Dim all the lights. The new Broadway bio-show Summer: The Donna Summer Musical has set a final performance date of December 30 at the Lunt-Fontanne Theatre. Directed by Des McAnuff, the jukebox tuner began previews on March 28 and officially opened on April 23. 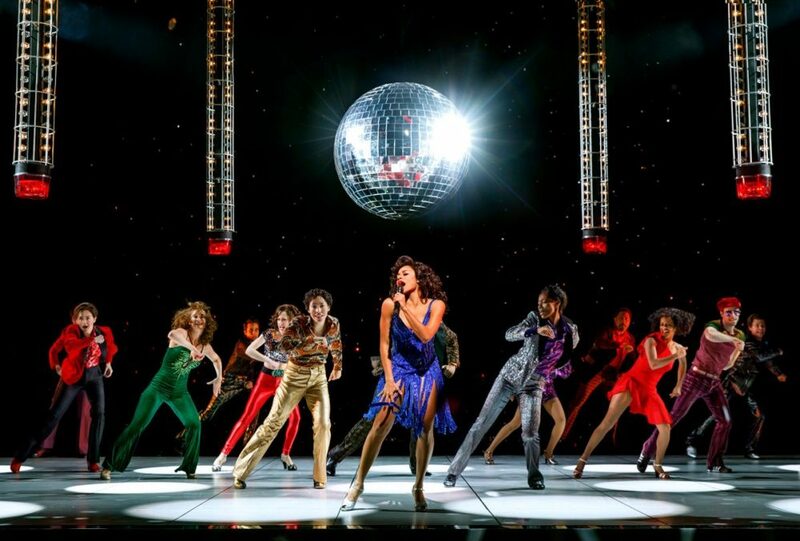 By closing, Summer: The Donna Summer Musical will have played 27 previews and 289 regular performances. Summer will launch a North American tour on September 30, 2019, playing cities across the U.S. and Canada, including Los Angeles, Nashville, Rochester, Washington D.C. and West Palm Beach. Casting will be announced at a later date. Told through the dramatic lens of her final concert, Summer: The Donna Summer Musical presents the complexities and conflicts the famed songwriter and singer faced in her meteoric rise and descent. Featuring a score with more than 20 of Summer's classic hits including "Love to Love You, Baby," "Bad Girls" and "Hot Stuff," the musical is a tribute to the voice of a generation. The show features a book by Colman Domingo, Robert Cary and McAnuff, with choreography by Sergio Trujillo. The cast is led by Tony winner LaChanze, Tony nominee Ariana DeBose and Storm Lever portraying Donna Summer at different points throughout her career. The principal company also includes Aaron Krohn as Neil Bogart, Ken Robinson as Andrew Gaines and Jared Zirilli as Bruce Sudano. The musical's ensemble features Angelica Beliard, Mackenzie Bell, Kaleigh Cronin, Kimberly Dodson, Anissa Felix, Drew Wildman Foster, Afra Hines, Jenny Laroche, Aurelia Michael, Wonu Ogunfowora, Rebecca Riker, Christina Acosta Robinson, Jody Reynard, Jessica Rush, Kaye Tuckerman and Harris M. Turner. Summer: The Donna Summer Musical features scenic design by Robert Brill, costume design by Paul Tazewell, lighting design by Howell Binkley, sound design by Gareth Owen, orchestrations by Bill Brendle and music direction by Victoria Theodore.